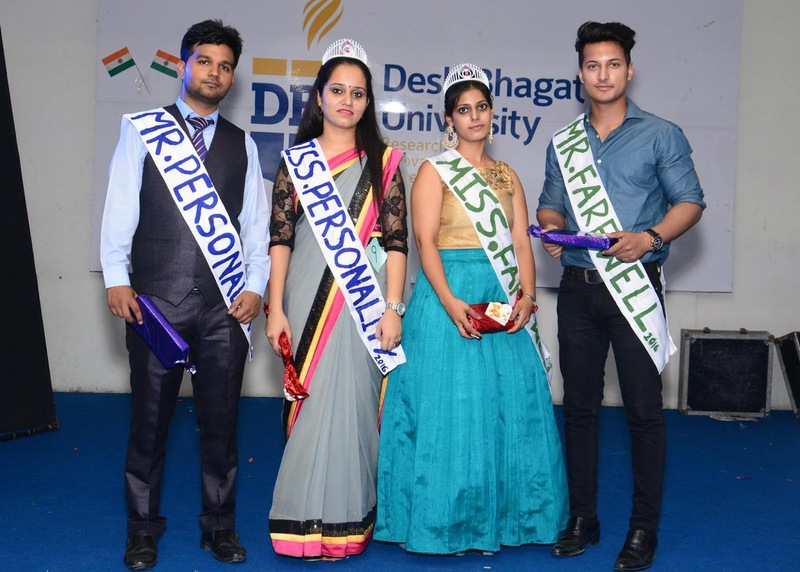 A Fabulous Farewell Party for MBA and B. Com Final year classes’ was Organised at Desh Bhagat University. 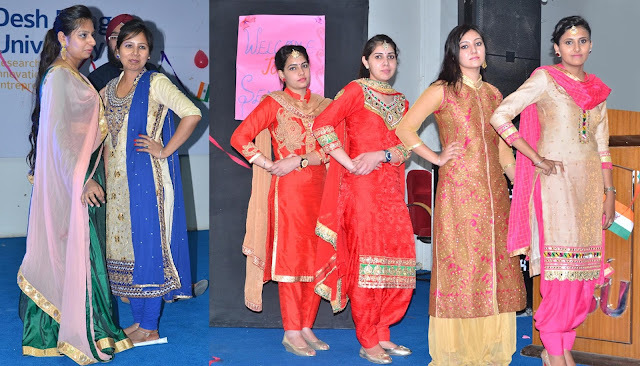 A Colourful Cultural Programme was arranged on this occasion, in which students performed in various activities like Dancing, Singing, Pair Dance, Choreography, Mono Acting, Mimicry and Fun Games etc. The main attraction of the party was to sing a song on a particular situation, given to outgoing students by their juniors. To add more fun to the celebration, the outgoing students' precise commentary on their personalities were also enacted by their juniors as a token of love and honour. After diverse rounds of games and performance, from MBA class Palak won the title of 'Miss Farewell' and Deepak was chosen as 'Mr. Farewell'. In another title, Jasneet Kaur won the Miss Personality and Rakesh Kumar got Mr. Personality title. In class B. Com., Amneet Kaur got 'Miss Farewell' and Jagjeet Singh got 'Mr. Farewell' title, while Jasmeen Kaur elected as Ms. Commerce and Harvir Singh as Mr. Commerce. The party was highly enjoyed and appreciated by the students Dbu . University Chancellor, Dr. Zora Singh and Pro Chancellor Ms. Tajinder Kaur conveyed their best wishes to the students and emphasized that they should work hard for being successful in their future careers. Vice Chancellor Dr. Virinder Singh wished the students good luck and inspired them to be responsible citizens.